Sen. Tom Cotton (R., Ark.) criticized Google on Tuesday following news the technology giant would not compete for a major Pentagon contract. Google claimed the contract, which involved moving Department of Defense data onto a private cloud system, might violate their "AI Principles." The project, the Joint Enterprise Defense Infrastructure (JEDI) cloud, was expected to run up to $10 billion, and is seen by many as an opportunity to compete with Amazon for a share of federal dollars. "We are not bidding on the JEDI contract because first, we couldn’t be assured that it would align with our AI Principles, and second, we determined that there were portions of the contract that were out of scope with our current government certifications," a Google spokesman said in a statement. In response to the decision, Cotton wrote: "This is sadly not the first time Google has refused to work with the United States military, while still entertaining the authoritarian demands of the Chinese Communist Party." 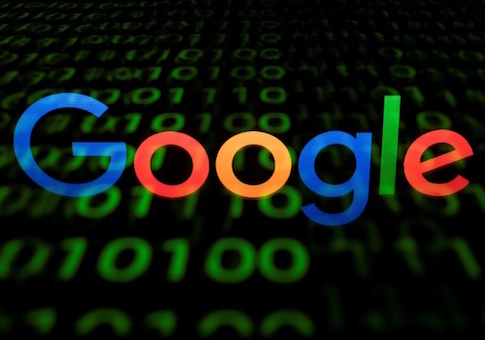 The critique is a reference to reports Google has been working on a project, code-named Dragonfly, with China’s authoritarian government to produce a censored search engine, one that the Chinese government would approve for use in its country. Google CEO Sandar Pichai met with top Chinese officials last year to discuss the prospect of Google establishing a footing in the country of 1.4 billion people. "I care about servicing users globally in every corner. Google is for everyone," Pichai said. "We want to be in China serving Chinese users." Cotton is not the only one to sound the alarm about the project. One Google source told the Intercept that Dragonfly threatened to help the Chinese government "oppress" its civilians. "I’m against large companies and governments collaborating in the oppression of their people, and feel like transparency around what’s being done is in the public interest," the source said. Google had previously been secretive about its work with the Chinese government. The Washington Free Beacon‘s Adam Kredo reported last month that U.S. Senators had received no answer from Google about the project. Google informed a bipartisan team of senators—including Sens. Tom Cotton (R., Ark. ), Marco Rubio (R., Fla.), Robert Menendez (D., N.J.), and Cory Gardner (R., Colo.)—that it is not in a position to answer a series of questions about the company's rumored plans, according to a copy of Google's correspondence with the lawmakers obtained by the Washington Free Beacon. Google’s refusal to bid on the AI project may be the result of internal pressure. Bloomberg reported that The Tech Workers Coalition credited the decision to "sustained" pressure from employees who "have significant power, and are increasingly willing to use it." The tech company's "AI Principles" are the product of a previous employee-led push against cooperation with the United States government. In June, Google declined to renew its AI contract with the Department of Defense, following employee resistance. In response to Google’s latest decision not to work with the government, Cotton pushed for the company to reevaluate its approach. "I hope Google takes a long, hard look at their so-called ‘principles,’" he wrote. "They ought to remember they’re an American company and reconsider this decision." This entry was posted in National Security and tagged China, Department of Defense, Google, Pentagon, Tom Cotton. Bookmark the permalink.